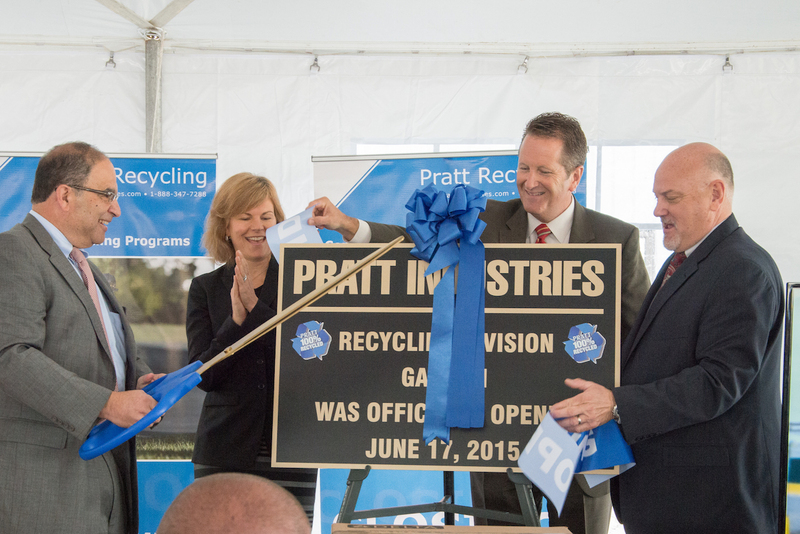 Pratt officially opened two new recycling facilities this week, including a 110,000 sq. ft. plant in Gary, Indiana. The other is a 38,000 sq. ft. site in Wichita, Kansas. Both will support the company’s state-of-the-art paper mill in Valparaiso, In., which comes on-line this September. Together, the two facilities, the company’s 16th and 17th recycling plants, will have the capacity to process more than 120,000 tons of recyclables annually, most of it recovered paper but also metal and plastics. 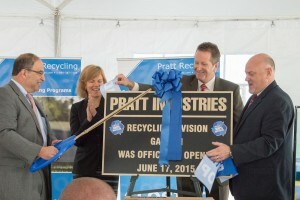 “The Midwest has long been a strong area for Pratt’s converting operations,” said Myles Cohen, President of Pratt Recycling. 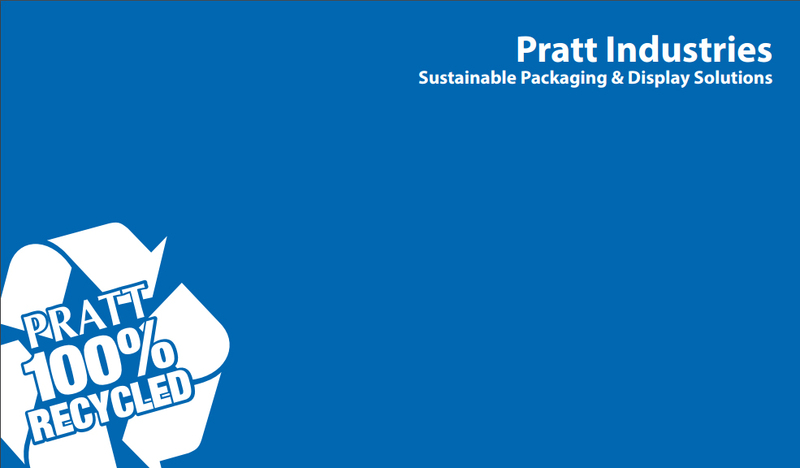 “Now, with the upcoming addition of our 4th, 100% recycled paper mill, adding recycling assets and infrastructure is the next logical expansion strategy for us. Myles said the company hoped to further expand the workforce at both centers within the next 12 months as volume increases. Currently there are 30 people employed at the two sites. The Gary facility, which will process more than 70,000 tons of recyclables annually, is the company’s first in Indiana. Myles said Pratt chose the city because of its close proximity to both the mill and the greater Chicago area paper stream as well as its excellent access to transportation. Among other equipment, Pratt has installed dual shredders at the plant to shred and recycle approximately 2000 tons a month of used books. The Wichita plant replaces an older facility which the company simply outgrew. Both facilities will service the recycling needs of businesses located within a 100-mile radius of each plant, while bringing both economic and environmental benefits to the area.